I received the Bank of Montreal(BMO) message below, although I do not have a BMO account, so I knew right away the email is a scam. The fake email message claims fraudulent transactions have been detected on my account and I need to confirm them. But, instead of following the instructions in the fake email, I called BMO directly and asked them about the two telephone numbers (1-866-418-8151) and (416 849-9003) in the email to ensure they are aware of what is happening and have them confirm the numbers are fakes. Protecting your security and the privacy of your information is something we take very seriously at BMO. We want to keep your account secure so we continuously monitor it for potentially fraudulent activity. There are transactions on your account that we need you to confirm were authorized by you. 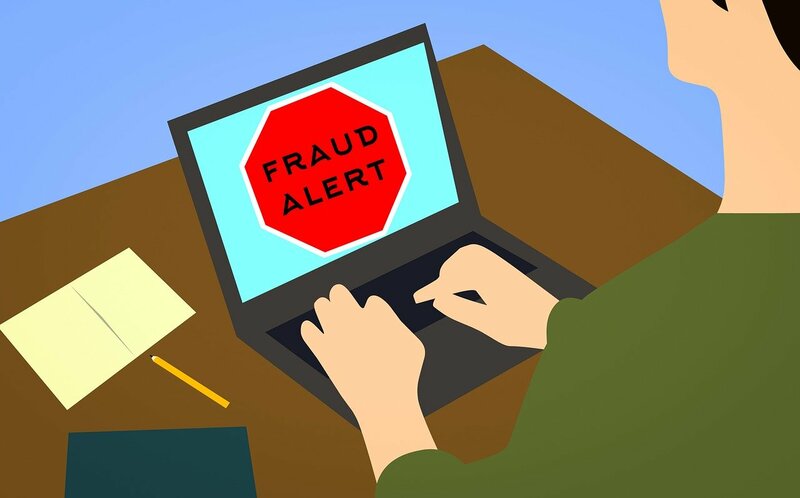 If you have not already spoken to us please call us at 1-866-418-8151 from within Canada and the U.S.A, or contact the Canadian Operator collect at 416 849-9003 at your earliest convenience and speak with a fraud specialist. If you prefer, you can call us on the number on the back of your card. If we have already talked to you about this there is nothing more for you to do. They do however still list the last four digits of your CC number. So your information had to be leaked in some form from another website you used and entered your CC info. If it was real, they would not leave a voice mail to general business numbers. If it is the bank, they would try to get through to the cardholder and not leave a recorded message on general company lines. bmoalerts@bmo.com and asking me to call 1-866-418-8151. I had set up alerts to be emailed to me, so I felt that it could be legitimate (and it turned out to be legitimate). I called the Mastercard customer service number 1-866-991-4769, which is the number on the back of my BMO Mastercard. The agent confirmed that 1-866-418-8151 is a valid number and is the direct line to the BMO Fraud department. He also confirmed that bmoalerts@bmo.com is the valid email that is used to send alerts to customers. They confirmed that there was a fraud alert on my card. However, the suspicious transaction was one that I had made, so it was a false alarm. I am just trying to correct some misinformation. Even though I confirmed that the 1-866-991-4769 is a valid BMO number, you are better off to call the number on the back of your Mastercard, rather than taking a chance. One of the other commenters did show a scam email, where clicking on the link would probably phish to get your information, but it did not mention the above phone number. My daughter received 3 phone calls to her voicemail today from these scammers. The 866-418-8151 number. We called back BMO at the number printed on our cards and verified we had no fraud alerts from BMO on file. Do not give out any info to these thieves. Agreed. Received a voicemail exactly reflecting the above and sounding very legitimate. I do not have any BMO cards or accounts. I received such a call about a recent suspicious activity on my master card. I knew I haven&apos;t used my master card for a while so checked the mobile app and there were no unauthorized or pending transactions so I knew it was a fraudulent call. I just received a voicemail that is entirely consistent with the descriptions above. I received this voicemail on December 24, 2017. I do have a credit card with BMO, but I became suspicious when the automated voicemail said they were investigating my card ending in "7313" (which I do not have). Just so you guys know, I received this exact email (with the same phone numbers and everything) from BMO just yesterday (September 2017). I called BMO from the number on the back of my card (1-800-263-2263) and they did indeed want to confirm a transaction on my account. They also confirmed that they did send me an email, and since this email was the only one I got from them, the number on it might actually be legit. But in any case, if you get such an email, always, always, call the number on your card just in case. Can confirm. I had the exact same email with that same number. I was skeptical so I called the BMO number on the back of my Mastercard. My account got flagged because I signed up for an ESSO speedpass and they charged my card with $0.00 under FAIRFAX LEE and also $0.00 for an ESSO GIFT CARD. The BMO rep told me she&apos;s had this call before. Same here. Had a call from 1-866-418-8151 with a very professional sounding message indicating there was a security concern with my MasterCard. I called the number on the back of the card and they confirmed my card had been compromised and they were sending a new one out. I think the come away on this is to never call the number back, but call the number on your card, statement or other known secure source to determine if there is an issue. Yes, you are right, the email is fake, but the number is correct. The scammers want you to click on a link in the email or reply to it, not call the number.